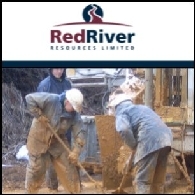 Red River Resources (ASX:RVR) is a diversified mineral explorer currently (late 2009) focusing on gold and also exploring for copper, nickel, tin, magnetite iron ore, tantalum and lithium. Red River's current projects include; Miaree, Karratha area, Western Australia (Iron Mountain Mining JV): gold. Wongan Hills, Mid West Region, Western Australia (Operator Dominion Mining, Iron Mountain Mining JV partner): gold, copper. Blythe, Burnie area, Tasmania (Iron Mountain Mining JV): magnetite iron ore, tin, tungsten. Hooley Well/Imagi Well, Mid West region, Western Australia (Eagle Nickel JV): nickel. East Kirup, southwest Western Australia (Operator Dunvegan Resources): lithium, tantalite, tin. 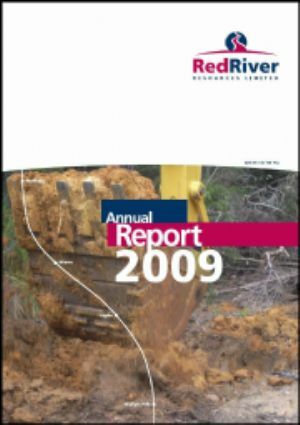 Red River Resources Limited (ASX:RVR) is pleased to announce its quarterly report for April - June 2010. 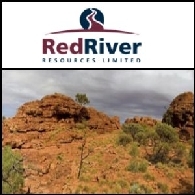 Red River Resources Limited (ASX:RVR) is pleased to announce that it has entered into a Heads of Agreement (HOA) with Black Gold Resources Limited ("Black Gold"), an unlisted company, whereby it can earn a 50% interest in EPC 1181 and EPC 1921 (the Taabinga Project) for the expenditure of A$2 million. The tenements are situated at Kingaroy, 150 km northwest of Brisbane, Queensland. Independent consultants have calculated that EPC 1181 contains JORC-compliant indicated and inferred resources of 82.1 million tonnes of coal and there is further exploration potential in EPC 1181 lying to the north. Subsequent to the termination of the joint venture with Ord River Diamonds, 100% ownership of the East Kirup lithium-tantalite-tin exploration prospect has reverted to Red River Resources Limited (ASX:RVR). As a consequence Red River is now planning to carry out a 6,000m program at East Kirup during February-March 2010. 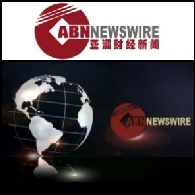 ABN Newswire Stocks to Watch today include: Image Resources (ASX:IMA)(PINK:IMREF), Mission NewEnergy Limited (ASX:MBT), Atlas Iron Limited (ASX:AGO), Galaxy Resources Limited (ASX:GXY)(PINK:GALXF), Environmental Clean Technologies Limited (ASX:ESI), Kairiki Energy Limited (ASX:KIK)(PINK:KAIRF), and WestSide Corporation Limited (ASX:WCL). The Red River Resources Limited (ASX:RVR) and Iron Mountain Mining Ltd (ASX:IRM) Joint Venture carried out 5,800 m of reverse circulation drilling over the Miaree Magnetite Trend within E47/1309, E47/1707 and E08/1350 during the December quarter of 2008. Red River Resources Limited&apos;s (ASX:RVR) Blythe Project is held under a joint venture with Iron Mountain Mining Limited (ASX:IRM). RVR have 50% of the Blythe project and are contributing equally with IRM to exploration costs. Reverse circulation (RC) drilling was carried out over the Hampshire, Sea Slug, Nolan&apos;s Hill, Kara North, Kara East, Kara South, and Kiwi&apos;s Prospects during the June and September Quarters of 2008 and initial analyses were received during 2008. Red River Resources Limited (ASX:RVR) are delighted to announce the discovery of significant tin mineralisation from recent drilling at the Kara North Prospect south of the port of Burnie in northern Tasmania. Red River Resources (ASX:RVR) provides the opportunity to listen to an audio broadcast with Mr John Karajas, Managing Director in a presentation titled "ASX:RVR - Miaree Drilling Results - Mr John Karajas, Managing Director". Red River Resources Limited (ASX:RVR) are delighted to announce the discovery of significant magnetite mineralisation from recent drilling at the Miaree Project.